Holi 2015 Pool Party @ Citrus Hotel is a Holi bash that you cannot afford to miss, if you seek unlimited fun and entertainment this Holi. Organized by the After 8 Events, which is renowned for hosting the most hip and happening parties in Pune, the Holi 2015 Pool Party is an event that the party lovers cannot give a miss. Holi 2015 Pool Party @ Citrus Hotel is a Holi Party that would kickstart at 10:00 am on March 6, 2015 and would go on up to 6:00 pm. What’s more? 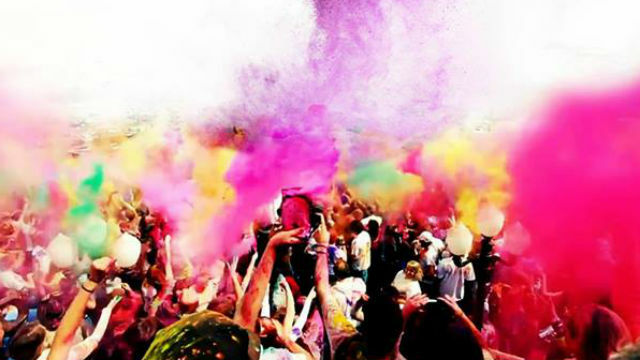 The passes for this amazing Holi Bash is priced at a reasonable and affordable range to make sure every person in Pune gets to be part of the most happening celebration in town. The early bird passes per person is priced at a nominal range of 300 INR, so bring in all your friends who are above 21 years of age and have a gala time. The Holi 2015 Pool Party would use organic colors, which would ensure that the guests have a safe and chemical free celebration. The guests would be provided with free organic colors at the venue, however, if you wish to get your own supply of colors, here are a few DIY Tips for Preparing Organic Holi Colors that might be of help. Come and join the fun and excitement at this spectacular Holi bash which would also have water guns and music along with food and beverages that would ensure that your energy levels are at a constant high. Think no further and book your passes for this amazing Holi party organized by the After 8 Events at the Citrus Hotel in Pune. The holi bash is sure to be a fun-filled affair just as every other party organized by the After 8 Events, so what are you waiting for? Grab the passes before they are sold-out, lest you repent having missed out on all the fun and excitement. awesome arrangement by citrus people !! i need to ask you a question that when the booking are going to be closed and are food and drinks complementary from you people or we have to buy it ? and what things are to be there from your side ? ?